In Reverse: Name the Song Title and Artist – Round 2- SOLVED! 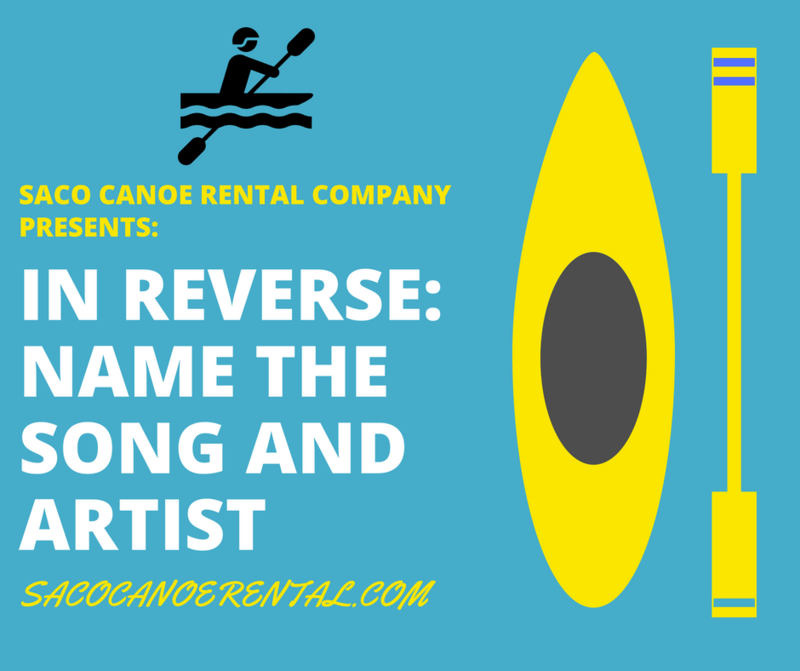 Click below to listen to a song “IN REVERSE” and if you think you know the song title and artist… text your answer to 603-356-9145. If you’re correct you’ll be put in the running to be a qualifier for a KAYAK courtesy of Saco Canoe Rental! The qualifier will be notified this morning and will win a FREE Sundae at Dairy Queen and a $5 Gift Certificate to The Met Coffeehouse. The winner of the Saco Canoe Rental Kayak will be announced on Friday (7/13) at 8:10am! Congrats to Thomas from North Conway for knowing the correct answer and qualifying! It’s Taylor Swift – Delicate… Tune in tomorrow for your chance to qualify!